Cecilia is our full time Hospital Manager and Veterinary Assistant. She had her Assistant Certificate from Venezuela and BC, She is originally from Venezuela and has been here in Kelowna for 6 years. She helped street animals in Venezuela since early age. She rescued them out of the streets, provided care and found homes for them. She volunteered many years in order to help establishing two animal shelters in her home town. In her spare time she enjoys spending time with her family. She has two wonderful kids, a dog named Nina who she rescued from Paws it Forward dog rescue and brings her to work daily, and Fishy (Betta fish), Emma and Chechi (Two budgies) rescue too. 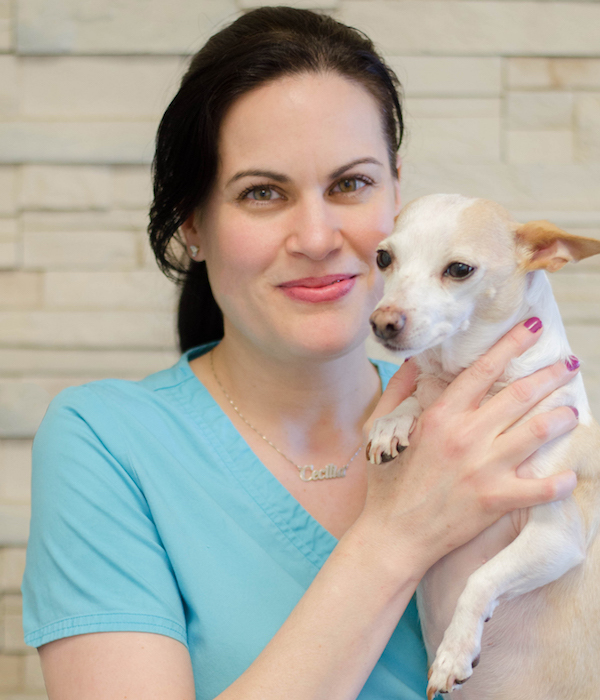 She will treat your pet as her own and she will make every effort to ensure your pet receive the best health care while at Burtch Animal Hospital.